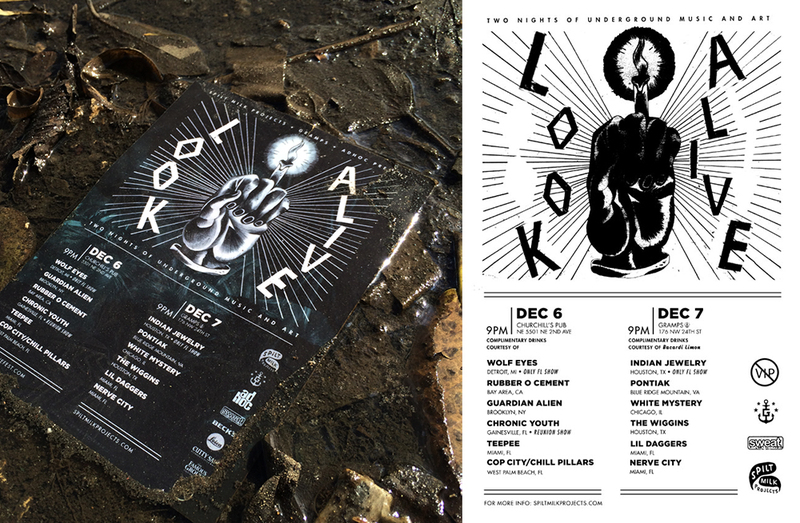 I had the privilege to collaborate with Mike Del Marmol on the identity work for Miami’s inaugural Look Alive fest. 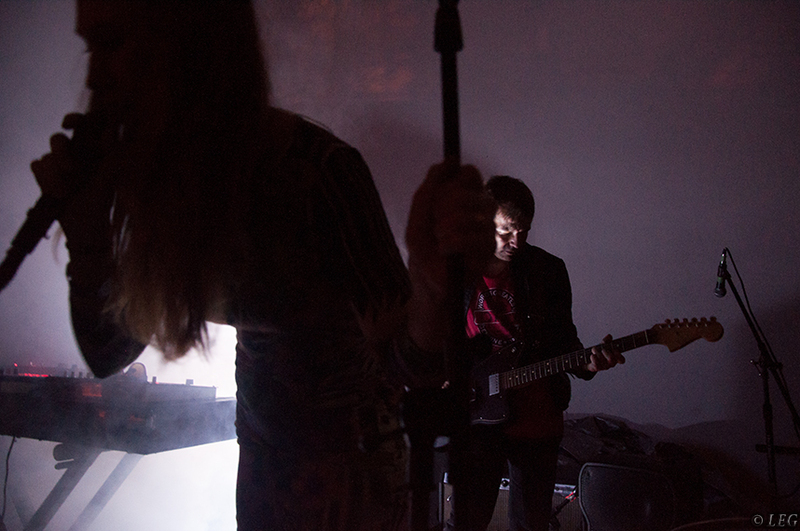 Organized by Spilt Milk Projects, the fest was meant to fill the void of nightlife where VIP attire and status weren’t nessesary, and locals and Basel visitors alike could hang and rock out to top notch psych and noise acts from around the country. For the flyer, we wanted to take it in an occult direction, but like, occult in the everglades.